One of the (lesser) joys of editing InsideFlyer is reading through the swathes of Press Releases we receive from travel companies, which generally vary in quality from ‘quite interesting’ to ‘borderline unhinged’. Hyatt provided a tremendous example of the latter type earlier this week – presumably the result of a bet between bored members of the PR department, wagering on whether they could include every single ‘buzz’ word in one release. Hat’s off ladies and gentlemen, I think you succeeded! I need this intersection to be more energizing. Guestroom Evolution – including my favourite new concept/meaningless phrase: “purposeful furniture”. Bathroom Transformation – in particular, a “more optimal distance between mirror and vanity”. Energized Lobby Experience – “The Hyatt Place brand is reimagining the lobby experience to become an energizing intersection for guests looking to get out of their rooms”. Elevated Culinary Experience – I’m not sure what happens if you don’t eat/listen carefully to the “compelling breakfast”. 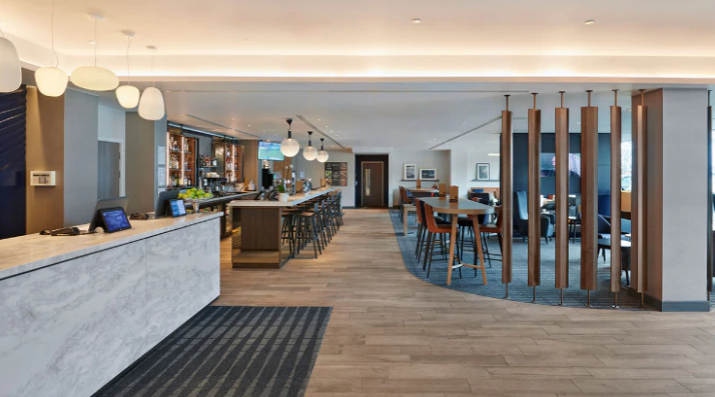 Reimagined Breakfast: “World of Hyatt members will be able to enjoy the newly reimagined breakfast for free at Hyatt Place hotels”. There’s long been a fierce (if little known) dispute in philosophy between those who believe that breakfast can be simultaneously compelling and reimagined, and those who assert it can only ever be one thing or the other. Non-philosophers might, foolishly, argue that the only difference that matters when it comes to breakfast is whether it’s nice or not. I’m unclear as to whether the furniture in this Hyatt Place room is purposeful yet or not. Looks perfectly good though. 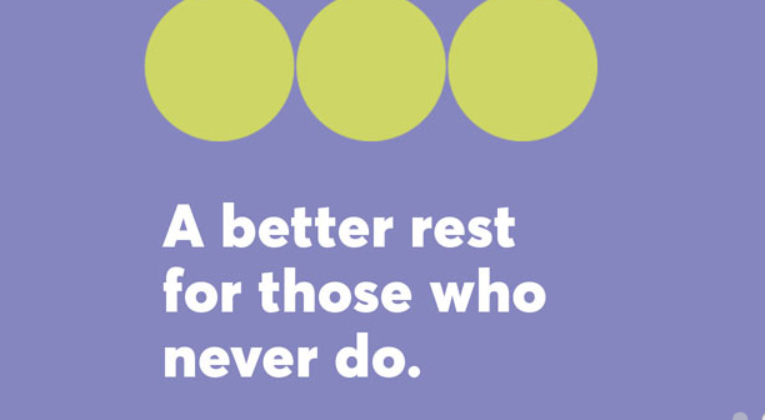 Speaking of philosophy, Hyatt also offers some profound insights on what it means to live a good life, “Well-being continues to be a powerful and growing movement, and it’s increasingly important to Hyatt Place guests who prioritize their well-being”. In other words, people wish to avoid discomfort, pain and early death. This is increasingly important to those Hyatt Place guests who prioritise avoiding these things. Got it! Having read more than my fair share of PR statements, I’ve got a relatively strong stomach when it comes to this sort of gibberish, but it’s important to give credit where it’s due – and Hyatt really has set the nonsense-bar impressively high. Oh, if you were wondering if there’s actually any substantial changes hidden in there – not really. 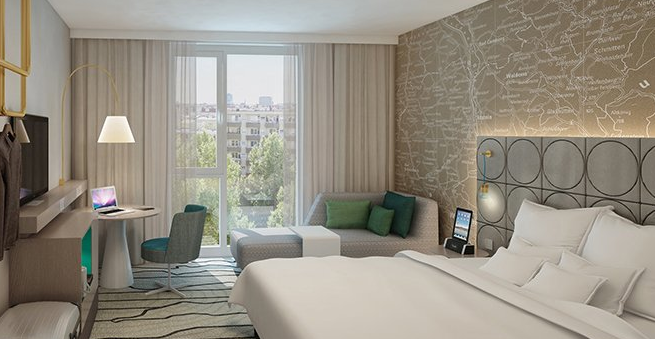 The biggest news is that you’ll now need to book direct and be a World of Hyatt member to get free breakfast at Hyatt Place hotels, whereas it used to be free for all guests. Good – I really can’t abide purposeless furnishings! ??? Aye – some rooms (even modern, seemingly deliberately designed ones) are baffling, especially socket locations. That said, I may take some convincing that ‘purposeful furniture’ is the best way describe rooms that aren’t rubbish. I stayed in the DoubleTree Resort & Spa Reserva del Higueron in Spain earlier this year. The room and furniture design was completely inexplicable. For some reason the shower was in the bedroom room rather than the bathroom. There was no desk. There was a round table in the middle of the room with a nice view out the window. This is a “leisure” destination, so I guess it probably is nice to sit at the table and eat a room service meal or have a drink with your beloved, but the table was so far from any of the power outlets that I couldn’t sit my laptop on it and plug it in anywhere. (Yes, people sometimes want to do this even when on holiday). It was completely bizarre. There are some real head-scratchers out there. I think the worst are probably the ones that look nice when you walk in, but it soon becomes apparent that the room was designed by someone who has clearly never actually stayed in a hotel before and only has a vague idea of what hotel rooms are. I get it. In the last place – not a Hyatt -the bed was not purposeful at all, so we slept on the floor. The chair similarly, didn’t look like a chair, so web used it as a table. And it required a bathroom transformation as well – after getting ourselves ready, we were exhausted because of the lack of optimal distance considered. Compelling breakfast it wasn’t, we only did the rounds once. Anyway, I’m sold. Shifting all my loyalty to Hyatt from now on. 🙂 I think you’ve convinced me too! Obviously US centric… The European Hyatt Places have never offered free breakfast to everybody as brand standard. And I can’t imagine Hyatt Places in the US actually bothering to police who has the right to breakfast and who doesn’t, as it’s all done in the lobby basically. I have a PhD in fluid mechanics. Hotel showers generally baffle me anyway. How about hair dryers that are miles away from the nearest mirror?